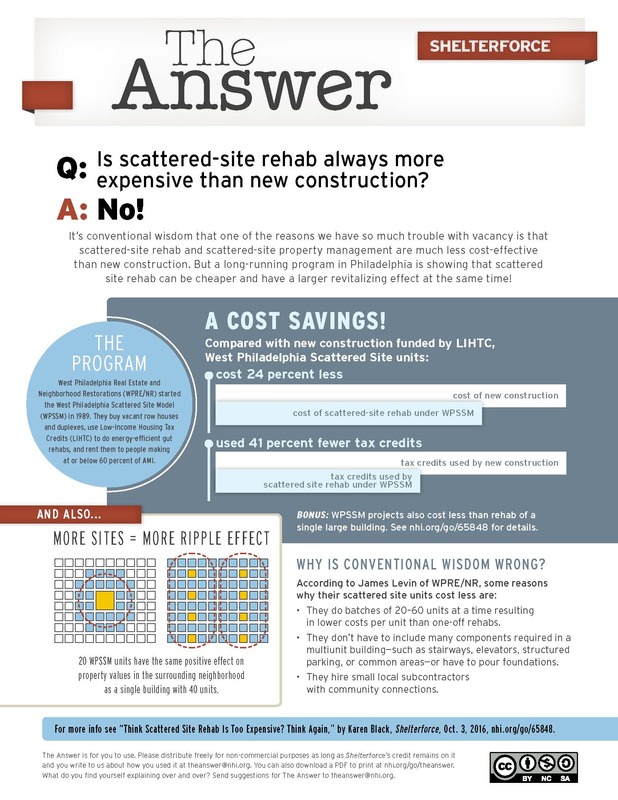 Q: Is scattered-site rehab always more expensive than new construction? It’s conventional wisdom that one of the reasons we have so much trouble with vacancy is that scattered-site rehab and scattered-site property management are much less cost-effective than new construction. But a long-running program in Philadelphia is showing that scattered site rehab can be cheaper and have a larger revitalizing effect at the same time!